Can The Internet Be Considered A Religion? Religions seem to spring forth left and right from the vacuum of space itself—there are religions founded on conspiracy theories, alien abduction, “redneck” culture, and even the art of body modification. But can the Internet be considered a religion? It may make more sense than one thinks. 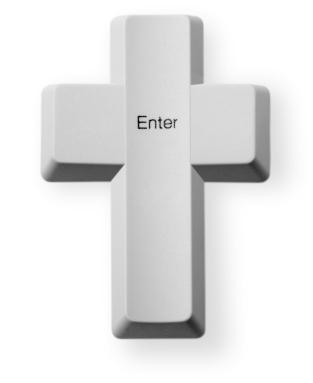 One cancer survivor and entrepreneur recently declared the Internet to be his religion. The reason he gives is that the Internet brings people together to fight for social and political justice. The statement was made by Internet activist Jim Gilliam at the Personal Democracy Forum, a conference organized to discuss the impact of technology on politics and government. Gilliam related to the audience the story of his fight with cancer, and how the radiation treatment for the disease damaged his lungs. The lung damage meant that he had to receive a double-lung transplant to live, but the UCLA Medical Center refused to perform the surgery, citing the difficulty of undertaking such a complicated procedure. Upset at the university’s decision, Gilliam wrote a blog entry about it, inspiring a volunteer in one of his companies to write a letter to UCLA accusing it of performing only easy surgeries in order to create the impression that the school’s hospital had a high success rate. Others, including Gilliam’s sister, joined the effort, writing emails to UCLA in support of Gilliam. Eventually the school capitulated and offered to perform the surgery on Gilliam. Gilliam attributes the school’s change of heart to the power of technology to change people’s minds. The Internet, he explains, has made it easier for people to make their concerns known: “Today I breathe through someone else’s lungs, while another’s blood flows through my veins”, he told the audience, adding, “I have faith in people. I believe in God, and the Internet is my religion.” In other words, Gilliam’s religion is the coming together of people through advanced communications technology for the purpose of improving the human condition. God, Gilliam states, results from humanity’s interconnectedness. We might say that, in many ways, this religion resembles humanism or nonreligious spirituality. It may be a stretch to compare this “Internet religion” to organized religions such as the Southern Baptist Church, the Roman Catholic Church, the beliefs and teachings of Buddhism, or even Scientology, but we might be able to call the World Wide Web a spiritually galvanizing force. The Internet has already become a popular medium for disseminating religious doctrine and theology and for facilitating online prayers and online sermons, and it has also led to the advent of the nondenominational online church; there is now even a Bible app for smartphones, and a recent study suggested Apple, Inc. might be considered a religion because of the enthusiasm it breeds in its fans. In addition, the democratic nature of information technology and Internet communication, which enables people to express themselves in new and unprecedented ways, seems to allow for spiritual liberation and the democratization of organized religion. It will be interesting to watch the relationship between religion and technology grow and metamorphose in the coming years. We value your thoughts, given your role as a pastor, priest, or minister ordained online. As a reverend, do you think the Internet can be considered a religion? Does it play an important role for you in religious practice and in spiritual exploration?